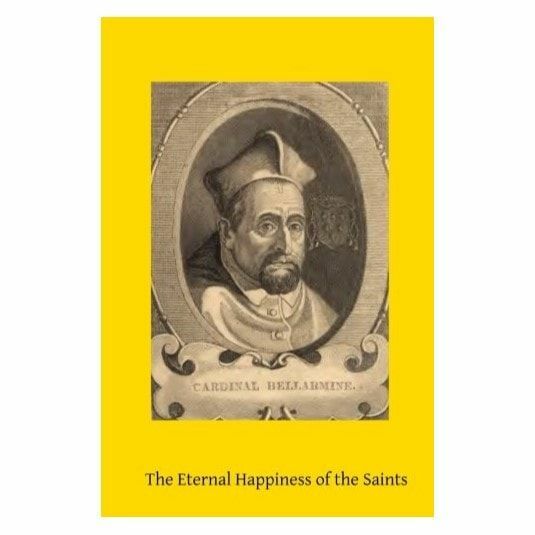 Towards the end of his life Saint Robert Bellarmine composed himself a little retreat for his own spiritual benefit, so that he might find the eternal happiness of the saints. Let us also profit from his sage considerations and meditations. 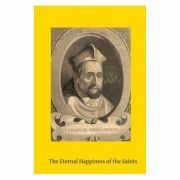 Saint Robert Bellarmine writes: This name is continually occurring in the Holy Scripture. The abode of the saints in heaven is called a "Paradise", because it is a most beautiful place, abounding in delights. But because men might suppose that paradise was a garden placed near a house, which could contain but few people, the Holy Spirit has added the name, "House", because it is a royal mansion, a great palace, wherein, besides a garden, there are halls, couches, and many other excellent things. But because a house, however large, cannot contain many people, and lest we should think that very few will possess eternal life, the Scripture adds the word "City", which contains many gardens and many palaces. But since St. John, speaking of the number of the blessed, saith: "After this I saw a great multitude which no man could number". And as, moreover, no city can contain an innumerable multitude, the word "Kingdom" is used, to which is added, "the kingdom of heaven" than which no place in the whole universe is more boundless and extensive. But, again, since in a most extensive kingdom there are many who never see each other, nor know their names, nor whether they ever existed; and since it is certain that all the blessed behold each other, and know each other, and converse familiarly with one another as friends and relations: therefore the Scriptures, not content with the name of "Kingdom", added that of a "City", that we might know its inhabitants are truly citizens of the saints, and as familiar, and as closely united together, as the inhabitants of the very smallest city. 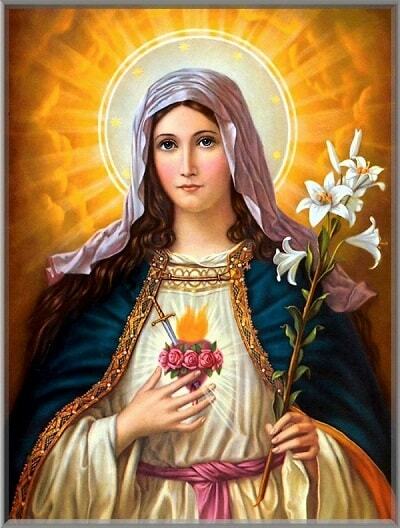 But, in order that we might likewise remember, that these happy men are not only citizens of the saints, but also friends of God, therefore the Holy Spirit calls that a "House", which it also named a "City". In fine, because all the blessed in heaven abound in delights, it is likewise called "Paradise". Hence these four words Kingdom, House, City, Paradise mean one and the same thing; and the Paradise is so extensive, that it can truly be called a House, City, and Kingdom. Wherefore, concerning this most blessed place I will first, under the word "Kingdom"; then under that of a "City"; afterwards under that of a "House"; and, lastly, under the word "Paradise" meditate in the chamber of my heart; and, with God s assistance, commit to writing what He shall please to suggest unto me.